Cleaning brushes are vital components of industrial manufacturing processes that involve cleaning. 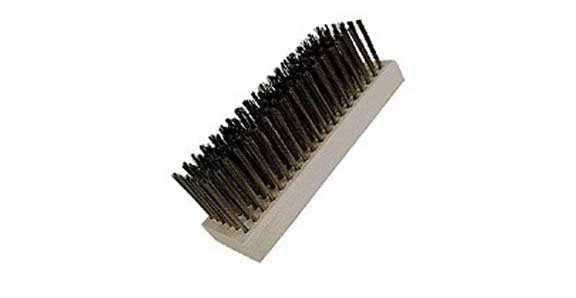 Consisting of bristles connected to a handle, cleaning brushes are more useful for abrasive cleaning than other types of cleaning equipment, such as sponges. Cleaning Brushes Brooms are bristled, long-handled cleaning brushes used for the collection and disposal of dust and debris in places of business, homes and in public spaces. Brooms are the most limited of all brush varieties in terms of their use on an industrial scale. Able to be used in both heavy duty and lighter tasks, cleaning brushes, such as brooms and cleanroom brushes, have no substitutes in the industrial manufacturing world, and are a vital part of many processes. 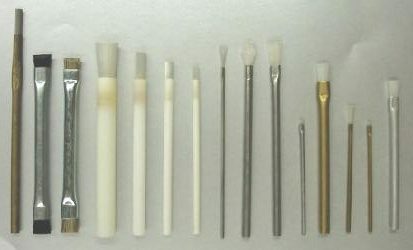 Almost all industries require the use of cleaning brushes; some examples include textile, food processing, pharmaceutical, electronics, commercial, automotive, aerospace, semiconductor and medical. There are two main types of cleaning brushes: twisted-in wire brushes and bristle brushes. Twisted-in wire brushes are made by taking a length of wire doubled over, placing the bristles in between the top and bottom of the doubled over wire, and twisting it up similar to a rubber band. The piece of twisted wire is most commonly made from galvanized steel, stainless steel, aluminum or brass. Cleaning Brushes – Gordon Brush Manufacturing Co.
Bristle brushes are made by placing a piece of material over holes that are either drilled or molded into a block and securing that material with a metal staple at each hole, folding the material over and creating bristles. The handles in bristle brushes are typically made of wood or injection molded plastic such as polypropylene. Within the two main types of cleaning brushes, there are many varieties of application-specific brushes such as tube brushes, bottle cleaning brushes, duct cleaning brushes, flask brushes, decanter cleaning brushes and utility brushes. One of the most important aspects for application-specific cleaning brushes is the type of bristle materials used. Cleaning brush bristles are constructed from a variety of natural and synthetic fibers, including nylon, horsehair, polyester and polypropylene; in fact, many types of polypropylene are used, including closed cell foam and non-woven. However, they may also be made from metals such as galvanized steel, bronze, brass and stainless steel for intensive industrial cleaning applications.